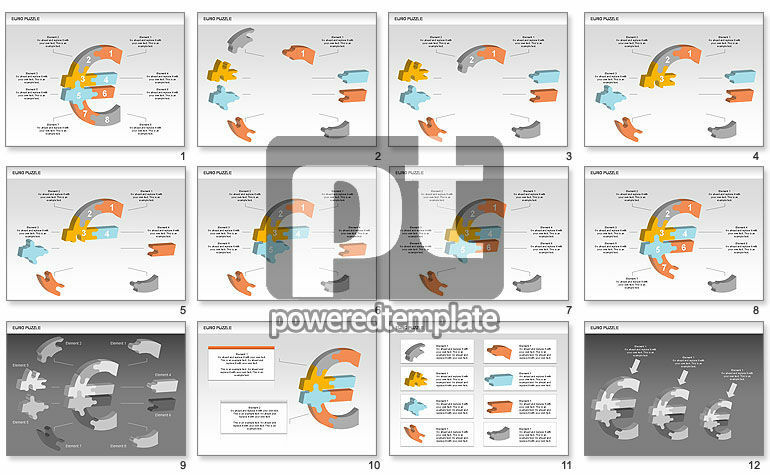 These presentation slides 28990 are complete compatible with Google Slides. Simple download PPTX and open the template in Google Slides. Collection of 3D objects parts of Euro symbol designed for various presentations on Euro rate, European Union economy, financial analysis, Euro rate forecast, etc.